Ah, 2015! A whole new year is upon us! Time to look back and reflect on the past year and to look forward to this new and exciting year in front of us. 2014 was one of the most exciting years for the births of new crias. We highly anticipated offspring from our herdsire, NeverSummer's Manchester and we were not at all disappointed! He gave us five gorgeous females (and also one more female and 2 males for our customers). 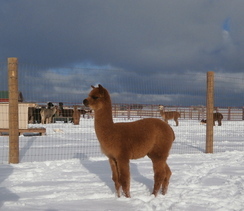 In addition to these beauties, we got two wonderful males sired by incredible herdsires to round out the "cria crop". Show season was good for us and was highlighted by capturing a "Reserve Color Championship" for PJA Altitude's GreyHawk. Many of our show string brought home 1st and 2nd place ribbons to show off to the rest of the herd at the ranch. New customers were acquired in 2014 and this also means new friends. We sold a couple of our lovely females and breedings to our herd sires to compliment their current herd. New friends were met at shows in the year, several from acquaintances through FaceBook. We acquired a few new alpacas this year to bring more awesome bloodlines to our herd. 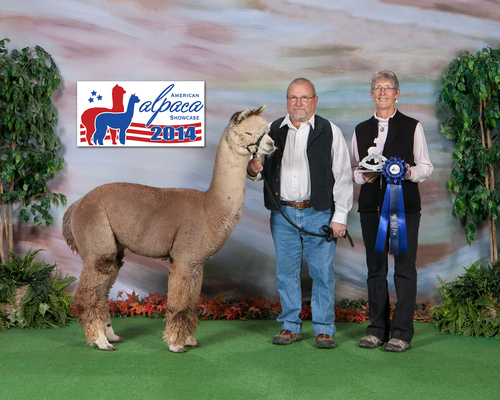 In addition to this, we created great partnerships with other alpaca owners. Of course, we look forward to showing some of these new alpacas at shows and offspring they will give us. 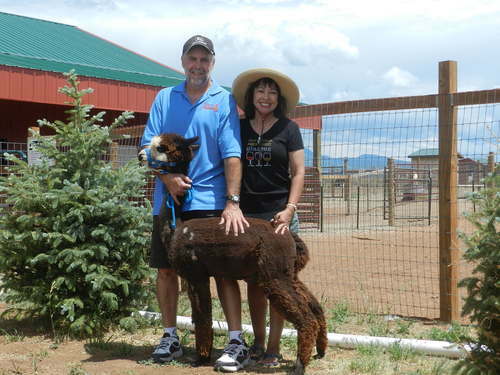 We reached out to new product customers this year by doing the LaPlata County Fair, being at our local Tractor Supply and hosting our 2nd National Alpaca Farm Days in September. Our three weekend Holiday Open House was quite a hit as well. This is the year that we noticed several repeat customers which means we are doing our job well with the alpaca products and the hospitality at the ranch. Kids at the ranch were incredible this year. Durango Day Camp kids visited three times and each time they brought laughter and carrots! Special visitors also included special needs kids from area schools. It was great to see their eyes light up when introduced to the alpacas and when they got the chance to feed them. So, what will 2015 bring? While none of us can tell the future, we can dream and hope! Goals include thinking of new ways to make this business better in 2015 through more sales of alpacas and breedings. 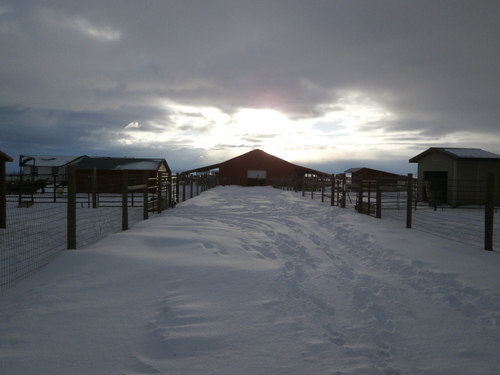 We hope to work with new breeders and assist in setting up ranches with them as well as providing alpacas for sale to them to start or compliment their herd. Driving more business to the ranch store is another key for the year. This will be the year for us to branch out to different venues off the ranch to introduce ourselves to the community. Expanding product line and creating more wonderful products is on the list. 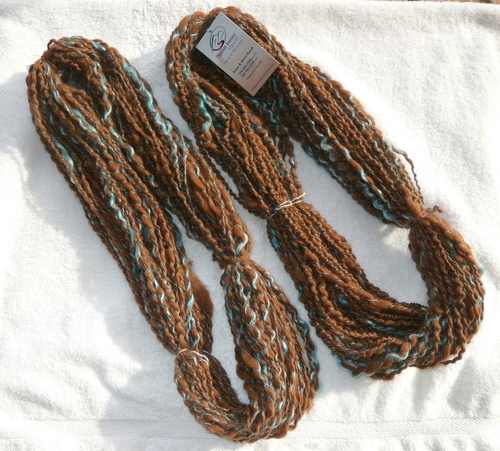 More hans spinning, crocheting, felting and peg loom projects are on the horizon. Of course, show season will be fun and interesting! The chance to show some of our Manchester crias will be a highlight! Shows are such a wonderful way to meet people and stay in touch with old friends along with admiring beautiful alpacas from other ranches. And lest we forget…..crias for 2015! It will be a busy cria season! Fingers crossed for uneventful births and beautiful crias! Stay in touch with us through the year to see what is happening, new and exciting. One thing we know for certain is that nothing is certain! Happy 2015 to all! Happy new Customer! Bye Truffles!